If you are looking for a place to relax and enjoy the beauty of Moorea we have the Bungalow accommodation to meet your every need. Island features include white- and black-sand beaches, mountains, rugged backcountry and towering waterfalls. Our accommodation and environment is perfectly suited to families, groups and couples. 7 wonderful bungalows are situated 200 metres back from the coastal road. The inner lagoon and reef is accessible by kayak at the end of our drive way. The nearest bathing beach(Panapo or Pineapple beach) is 4km away, 7 mins by car or scooter, 15 mins by push bike. A wonderful white sand beach that offers great swimming and snorkelling, a restaurant overlooking the beach, chairs, toilets, showers and shade all available for your use. Moorea Bungalows does free delivery to Pineapple beach and then you can walk back along the beach after an enjoyable day swimming and snorkelling. Most of the surf breaks on Moorea are on the passes. The passes are breaks in the outer reef that surrounds the island. The break in front of Moorea Bungalows (Haapiti) is about 1km from shore. Its a very consistent break and can handle some size. It works on south swell generated from depressions that go under New Zealand. When the swell maxes Haapiti out go round to Taeme which works of big south swells that wrap round the island. Your private bungalows on the quiet South-West coast of Moorea, in front of the best surf spot on the island Grocery Store and Bakery next door. Situated 200m inland from the beach so you can enjoy the iconical Tahitian green lush surroundings, large outdoor areas. This bungalow offers accommodation ideal for groups. Enjoy tropical evenings on the deck overlooking the garden. Surf in Polynesia is very important, it is part of the culture and lifestyle. Polynesians have been surfing for a very long time. The earliest references about surfing are from the 15th century and were found in the notebooks of James Cook during his explorations of Tahiti and the Islands. At this time, men and women were surfing together, naked in the waves, but with the arrival of Missionaries and religion, it was considered obscene by the missionaries and was forbidden. In the 20th century surfing reappeared by the influence of the Hawaiians, practiced mostly by men. For women, because of religion, it was more difficult to return to the water. Moorea, Tahiti’s sister island, is a beautiful island with white sandy beaches and stunning bays and is known for its sublime and breathtaking landscapes. For example, Cook’s Bay is frequently used in many movies, such as the Bounty. Moorea has a lot of high quality reef breaks. They are famous for their power, perfect waves and very aggressive and very shallow reefs. To surf them, the best way is guided by a local who will explain the spot. It is a nice long left wave, with a first tubular bowl and two others bowls perfect for rollers and tricks. It works perfectly with north, northwest and east wind swell. If the swell is too big, beyond 2m, the pass is saturated. At the end of the wave, there is no longer water and you’re on the reef. Best period: November to March. How to go to the peak: taxiboat (Hotel Intercontinental Moorea Exp’Air Kite and SUP school), about $15 roundtrip. Only a few locals challenge this beautiful fast and powerful right. You must get it right as it breaks on a sharp reef with rocks popping out of the water. It is fast, hollow and tubular; this right is shorter and more intense than its left twin. Barrel lovers only! Works perfectly with north, northwest and east wind swell. Located right in front of Moorea Bungalows! Haapiti is a world class and famous wave, a perfect left. Bethany Hamilton came here to shoot for her movie, #surfslikeagirl. This wave is changing all the time. It is never the same, depending on the swell and its orientation, which changes it radically. You can see it very fast with big barrels with a South West swell, and with South or South East swell you can see a perfect, long wave ideal for rollers and tricks. Haapiti is less shallow than the others but be careful because the reef is very aggressive and waves are very punchy. Temae is a beautiful powerful and technical right, one of the rare on the island. It works very rarely (by SE swell) and requires a very good technical level of surf and much experience. It breaks on a very shallow reef. Many surfers are scared by this one because of several accidents, but it is also very prized for its rarity and radicalism. The positive thing of this break is that it breaks on the shore. Negative thing? It is very hard launching between rocks and sea urchins! How to go to the peak: Go to the Temae golf course, search the beach and look for it breaking! A fast, barreling Beach Break, mostly surfed by teens and bodyboarders for its fast and hollow waves. Works very well with north swell from November to March. Small waves to play all the rest of the year, but exposed to the wind. Very crowded on the weekend. Black sand beach! A Beach break with slower and softer waves that is mostly surfed by SUPers or longboarders. It works very well with north swell from November to March. There are small waves to play in all the rest of the year, but exposed to the wind. Very crowded on the weekend. Black sand and rocks! The best shows are on the place of Tiki Village (traditional Polynesian reconstructed village), with the best company of Moorea, where you will have a unique and amazing evening in the tradition of Polynesian songs and dances. Don’t miss it! Moorea offers a multitude of exceptional activities. Stand Up Paddle in the lagoon with rays and sharks, dives with whales and dolphins, treks inside the island to see waterfalls. Any nature lover will love the wide variety of fauna and flora. In Moorea you can also kite board on the North shore lagoon (Wind season from May to October). Nights in Moorea are very quiet and if you like clubbing or drinking, dont expect to find it here . Moorea is not Ibiza; we live with the sun: we get up early and go to bed early. In a wild and protected environment, swim with rays, sharks and thousands of fishes in the most beautiful coral garden of French Polynesia! Arrive anytime you wish, no need for reservation, transfer by boat (3 minutes cruise) at your service all day long (except between 11.30 am and 1 pm). Also return anytime until 4 pm! Fish feedings with a guide at 11.30 am and 2 pm. When all the wild sealife meet at once: sharks, sting rays, blue trevaly, moray eel, clown fish, trigger fish and thousands of other species! One of best moment of the day! Do not miss it! The beautifull untouched coral garden can be visited anytime using a safety marine track. There is a number of push bikes and kayaks for hire at 1000 cfp per day & per person. Masks and fins at 500cfp per day & per person. SUP’s (Stand up Paddle Boards) are available for hire close by. The bungalows do not directly hire cars or scooters but can help you organise the hire of these. There is an arrangement where Avis drop off and pick up vehicles to and from Moorea Bungalows. This also applies to scooters from the RENT A BIKE & SCOOTER depot at Petit Village. French Polynesia, an overseas collectivity of France, comprises more than 100 islands in the South Pacific, stretching for more than 2,000km. Divided into the Austral, Gambier, Marquesas, Society and Tuamotu archipelagos, they’re known for their coral-fringed lagoons and over-the-water bungalow hotels. Island features include white- and black-sand beaches, mountains, rugged backcountry and towering waterfalls. Situated 200 metres back from the coastal road. The inner lagoon and reef is accessible by kayak at the end of our drive way. The nearest bathing beach(Panapo or Pineapple beach) is 4km away, 7 mins by car or scooter, 15 mins by push bike. This is a wonderful white sand beach that offers great swimming and snorkelling, a restaraunt overlooking the beach, chairs, toilets, showers and shade all available for your use. Moorea Bungalows does free delivery to Pineapple beach and then you can walk back along the beach after an enjoyable day swimming and snorkelling. Like the rest of the Tahitian Islands, Moorea’s weather is tropical and can be summed up in just two seasons: wet and dry. The wet season generally runs between the months of November to April. Temperatures will range from 27 – 30 degrees C, with the hottest months being February and March. Day to night temperature fluctuations are minimal. The dry season runs from May to October and you can expect less rain, although occasional nighttime downpours are not uncommon. This time of year is the “high season” and you should expect to encounter more tourists on your trip than in the off season. If you’re going to Tahiti to scuba, the dry season is probably the best time to go because the visibility is better. This is the Polynesian winter. Temperatures generally range from between 24-28 degrees C, and rain is rare. Day to night temperature fluctuations are minimal. As part of French Polynesia, Tahiti and Moorea do not require tourist visas for most travelers (European Union, USA, Australia ,Canada, New Zealand). Allowed length of stay varies between 30 and 90 days depending on the country of your passport. Please check requirements for your country here: https://french-polynesia.visahq.com/. Fa’a’ā International Airport is in the commune of Fa’a’ā, on the island of Tahiti, French Polynesia, 5 km west southwest from the town center of Papeete, the capital of French Polynesia. Domestic Flights flight operated by Air Tahiti. On arrival at Tahiti’s International Airport, you have 2 choices of transportation to get to the ferry port. Either taxi or bus. Taxi is probably the best option as bus’s don’t accommodate a lot of luggage and sometimes can be unreliable to the posted time table. When requesting a taxi or using the bus service say that you want to go to the ‘Moorea ferry port’. There are 2 types of frequent boat services operating between Papeete and Moorea, fast boat (Catamaran) taking 30 mins and ferry taking 1 hour. Moorea Bungalows offers pickup and delivery to and from either the Moorea ferry port or airport: This service has to be arranged and agreed at the time of your booking. From the port: 2500cfp up to 4 people. From the airport: 3500cfp up to 4 people. The cost of a trip to Moorea Bungalows from the port should be around 3500cfp up to 4 people. The cost of a trip from the airport should be around 4500cfp up to 4 people. "The best place to stay on moorea. Mellow but rippable left wave. Mark very helpful with everything and he had bikes and canoes you can borrow for getting around to surf or the shop/pizza. Apartments are clean, big and super cool. Hot water, wifi etc.. Rent a car or motorbike a couple of days to explore Moorea, but it's the place to be!! Cant wait to get back!" hello joneas it was a real pleasure having you! Great place to stay on Moorea! "Great inexpensive place to stay,it's not a resort,it's like you're very own home away from home. You couldn't ask for a better host, the owner knows everything about the island and can put you in touch with everybody on things to do and places to see. You do want to rent a vehicle while staying there makes travel much easier, but if not the owner will pick you up at the ferry dock he will accommodate you in anyway he can!! I will definitely stay at here on my return trip..."
"I arrived here after sun down, having asked a couple of the locals in my broken French what place would they recommend; and worried that I'd be sleeping by the road on my first night. The first thing owner did was pour me a glass of cold water, which was everything I could need and more. His passion and love for Mo'orea and his place is so infectious that throughout my stay I felt the most safe I had felt in a long time. He truly cares about his guest's experience, and he'd happily recommend any activity or restaurant to visit, depending on your passion or taste. 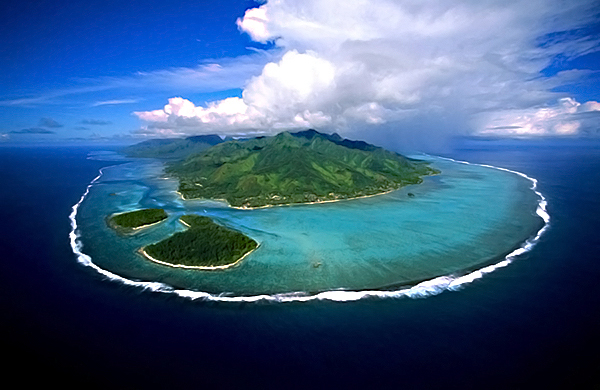 From my experience of Mo'orea; it's the more mellow and relaxing of the Polynesian Islands. If you want to have an experience of paradise, stay here!" "Moorea Bungalows is wonderful. Very affordable. We stayed in Fare Opuhi and it was fantastic! Free wifi was also very strong. All the bungalows on this well maintained property are extremely clean, spacious, and very accommodating for every travelers needs. We vacationed here for two weeks and celebrated our wedding anniversary, having returned for a second time after honeymooning here 7 years ago! Our stay here was comfortable, romantic, and we can't wait to return. "